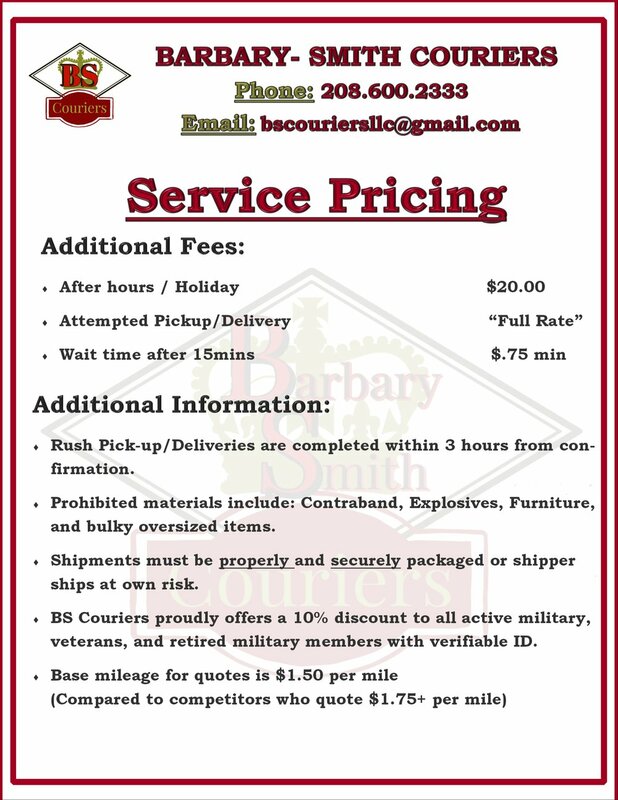 We do a variety of different route pickups and deliveries to various locations around the treasure valley area. Please, keep in mind that with special requests depending on our time and other appointments we can deliver elsewhere. Below is a list of our various prices. Also, keep in mind that pricing may vary due to different factors. Please call or email for an exact quote: see our Contact Us Page. We are dedicated to providing Fast Delivery services in Mountain Home ID and the surrounding areas. We can provide Boise Courier Services: ie pick-up and delivery services for a variety of items(ie: Packages,Envelopes, Misc items) around boise either on one of our scheduled routes or by scheduling a same day/next day order. We can also provide services around the Meridian/Eagle area. Just give us a call or try our online scheduling options. We offer services to and from Nampa/Caldwell area on our weekly routes. You can also schedule with us on a same day/next day dependant on availability.